Heat oil in a pan. Temper with mustard seeds, cumin, & chilli. Add in the onions & allow it to sweat. Add the ginger, garlic & allow to cook until raw flaour extracts. Add in the tomatoes & cook until dry. Add in the cooked tuvar dhal to it & simmer until its warm enough to serve. Add in a touch of lemon juice & garnish with Chopped coriander leaves. Serve hot with rice or Breads. Nice comfort food. Good picture. Delicious, for me with rice please. Real comfort food...Just love with ghee and hot rice! 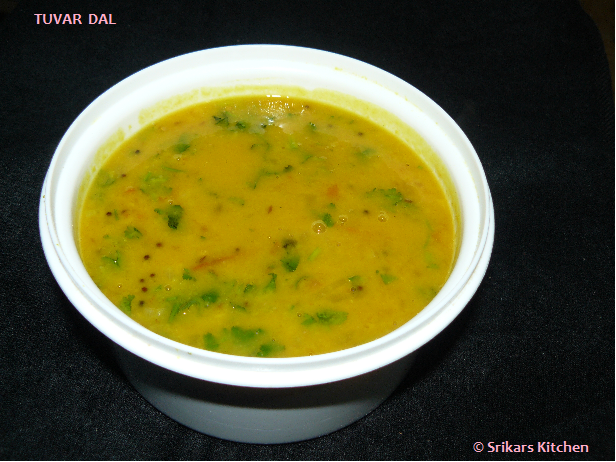 Yummy dal sri..Love the color..
As everyone say, Its really my comfort dish tooo. Delicious. Yummy! 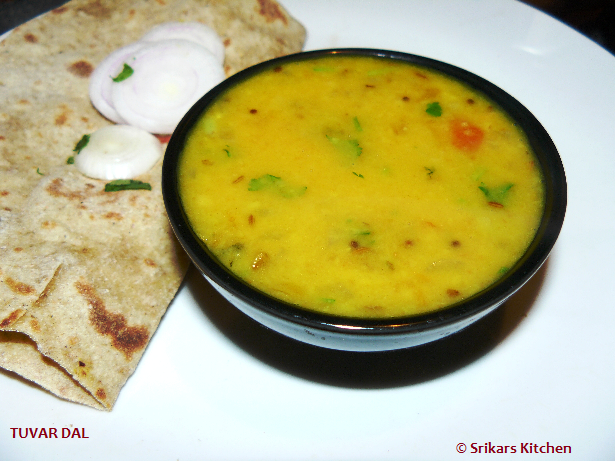 I make similar one with Moong dal. Loved this!